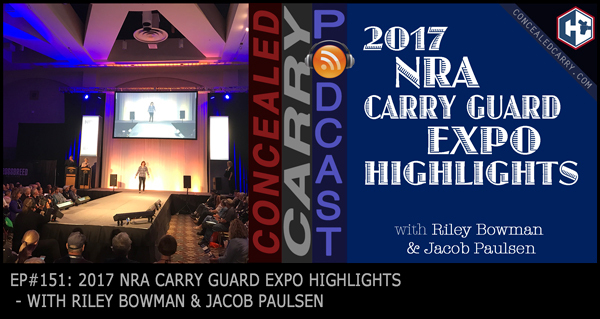 Riley and Jacob are back from Milwaukee, Wisconsin after attending the 2017 NRA Carry Guard Expo. They talk about a number of interesting and new products they found there including an innovative speed loader for revolvers, guns that fold in half, guns that load cartridges “backwards,” and of course they talk about the newly released Gen 5 Glocks. To get all the latest from the show, press ‘PLAY' above to listen now! Meet again Ret Lt Col Dave Grossman and his Family, YES I AM a SheepDog. I real want to meet you. Bill sorry we missed you!